These Asian empanadas can be found in many forms and names: dumpling, dim sum, gyoza, Jiaozi, etc… The difference is in the way of cooking, type of filling and country where they are made. 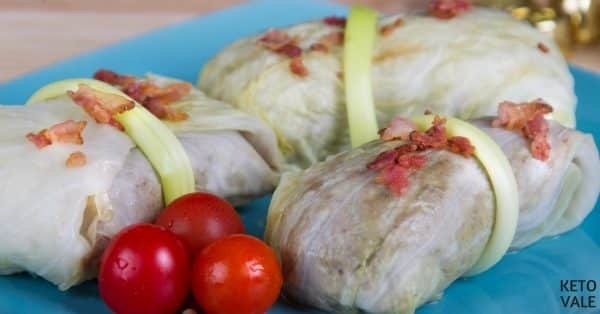 These cabbage dumplings or cabbage rolls are prepared with cabbage leaves instead of the normal all-purpose flour which makes it low carb. For the filling, you will need ground meat and spices and seasoning. 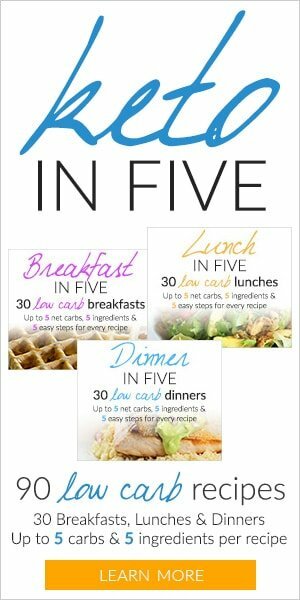 This recipe is quite simple to make. 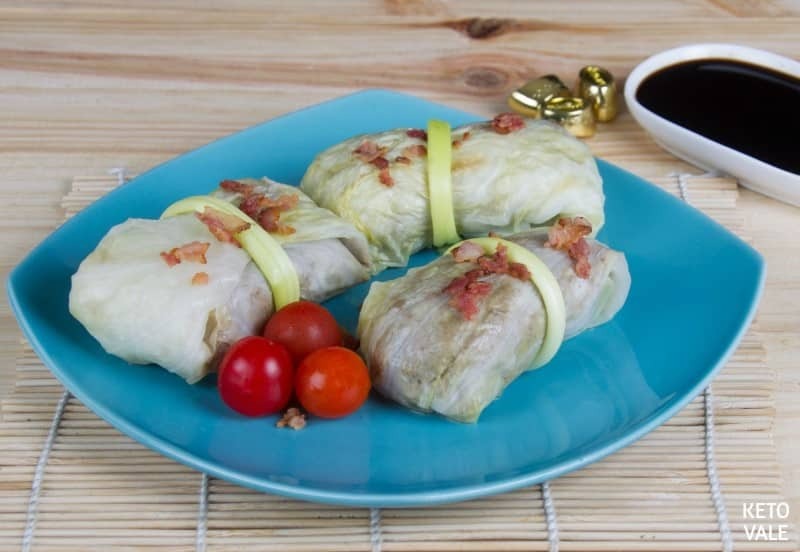 To make the cabbage “dough” soft, you have to remove the veins and hard parts of the cabbage leaves and then boil or steam the leaves. This recipe calls for 1 large cabbage, but we actually need only 8 large leaves from the outside. If you try to take the leaves out while it’s raw, it will likely be broken and torn apart which is why we want to boil the whole cabbage first so the leaves become more flexible and can be peeled easily without breaking it. You can save the rest of the leaves (smaller leaves, closer to the core) for other recipes such as Pork Egg Roll in a Bowl so we don’t waste it. The filling can vary according to taste. 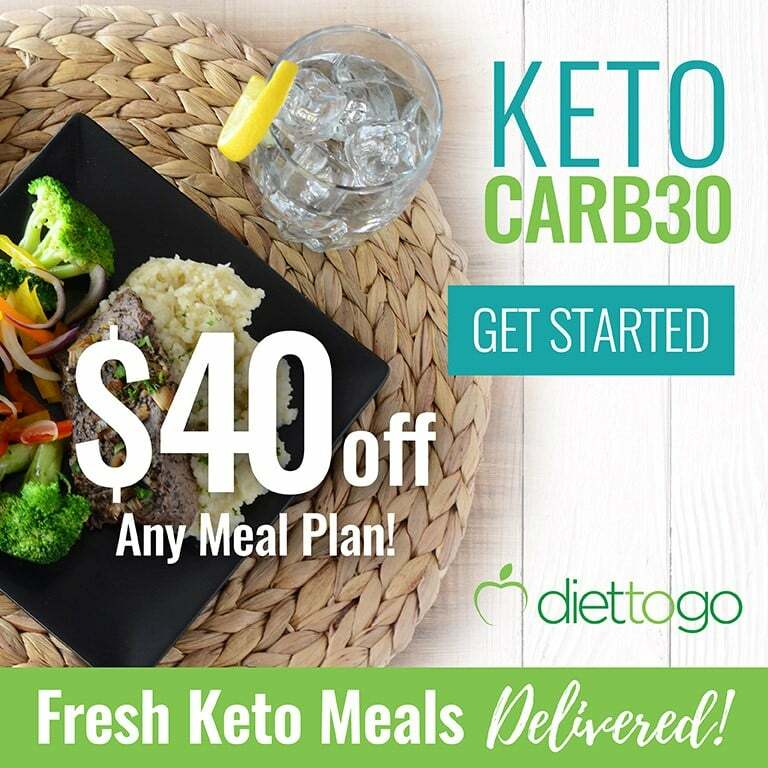 You can have beef, pork or even chicken. 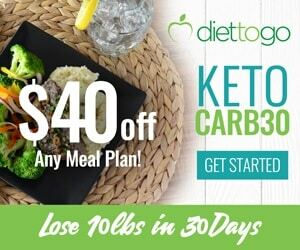 You can even do 50% pork and 50% beef. The choice is yours. 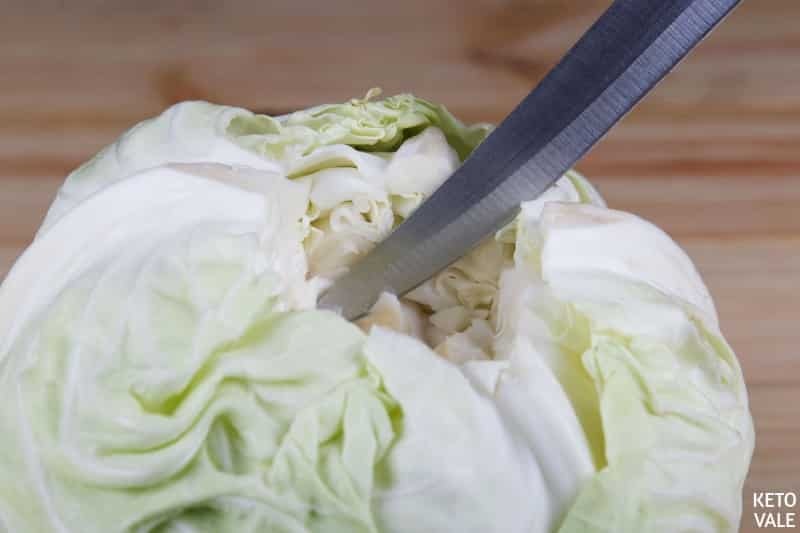 Wash the cabbage and carefully remove the core from the large cabbage with a sharp knife. In a deep pot, place the cabbage in with water cover the top of the cabbage and boil for 10 minutes until the outer leaves are soft. We find that boiling the whole cabbage will make it easier to take each leaf out to be used as the dumpling dough without breaking it. Removing raw cabbage leaves will make it easier to break it. In the mean time, prepare the fillings. 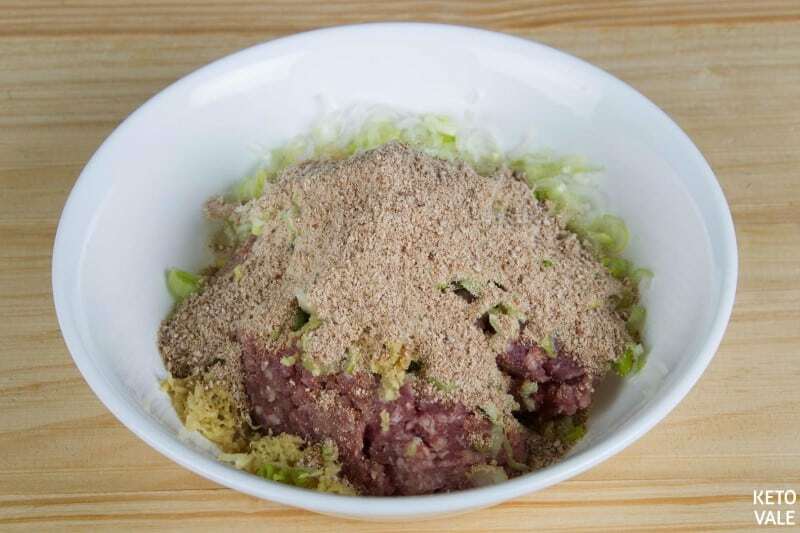 In a mixing bowl, marinate the ground pork with all the condiments, add the egg, chives and almond flour. Mix with your hands until you have a consistent mixture and separate the meat in 8 servings. Set aside. 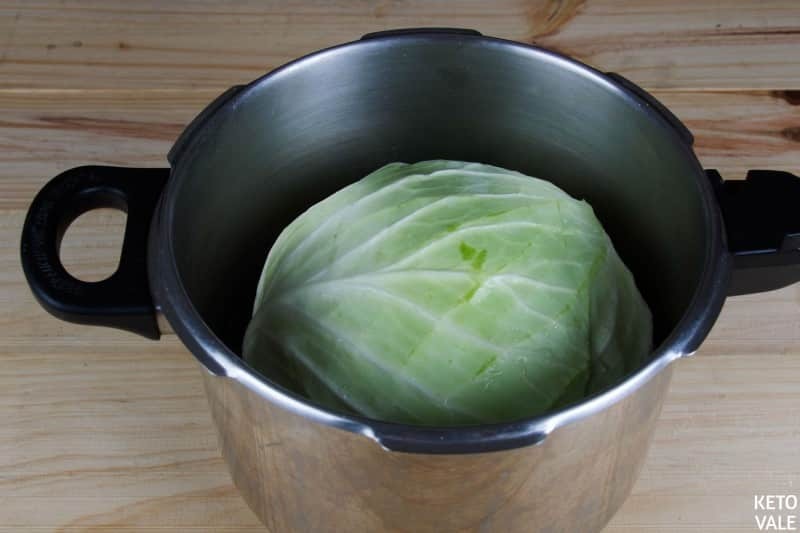 Once the cabbage is slightly soft, remove from the pot. Gently removes the top layers, and with the help of a knife removes the veins. The leaves should be flat. To make the dumplings, put the meat in the center of the leaf; fold the leaf from all sides to cover the meat. Place the dumplings carefully so it doesn’t open. You can use a toothpick to help hold the leaf. Repeat with the rest of the leaves and meat. Place the dumplings in a Dumpling Steamer or Steamer Pot for 20 minutes until the meat inside is cooked. You can check by cutting one in half. Enjoy! If you don’t have a steamer, you can boil the dumplings in a saucepan with boiling water. 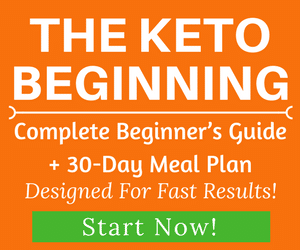 However, you will lose a lot of taste and flavor because it will get diluted into the water. By steaming it, you preserve the taste of the fillings. Another option is to bake it covered in a preheated 350F oven for 25- 30 minutes. It should come out like steamed dumplings as long as you cover the baking tray with foil before baking. Prepare your cabbage. Rinse thoroughly with water then using a sharp knife, gently remove the core. Settle the cabbage in a deep pot. Fill the pot with water to cover the whole cabbage up to the top. Let it boil for 10 minutes to make sure the outer leaves are soft enough. Meanwhile, start making the fillings by combining the remaining ingredients in a bowl. Knead the ground pork well to obtain a uniform mixture. Divide to make 8 fillings for the dumplings. Set aside. 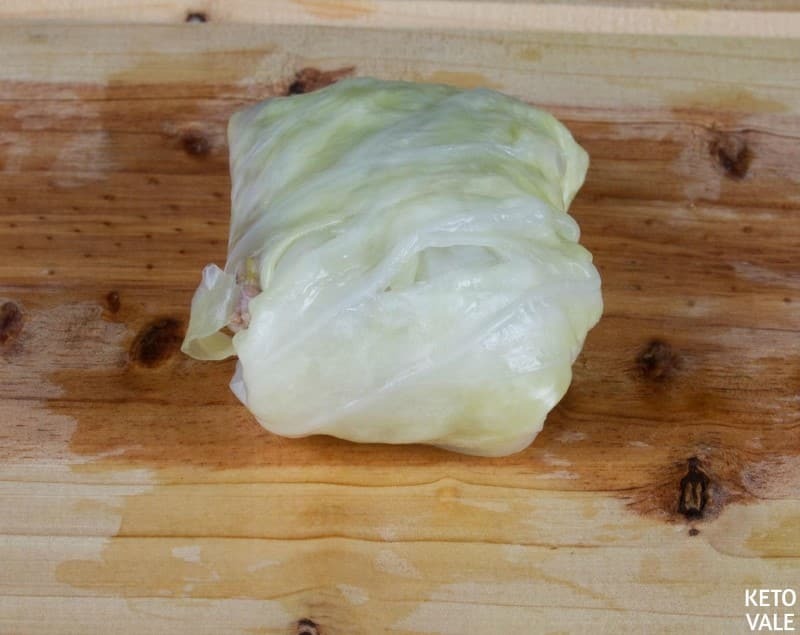 Once the cabbage becomes soft, transfer the cabbage to a cutting board. 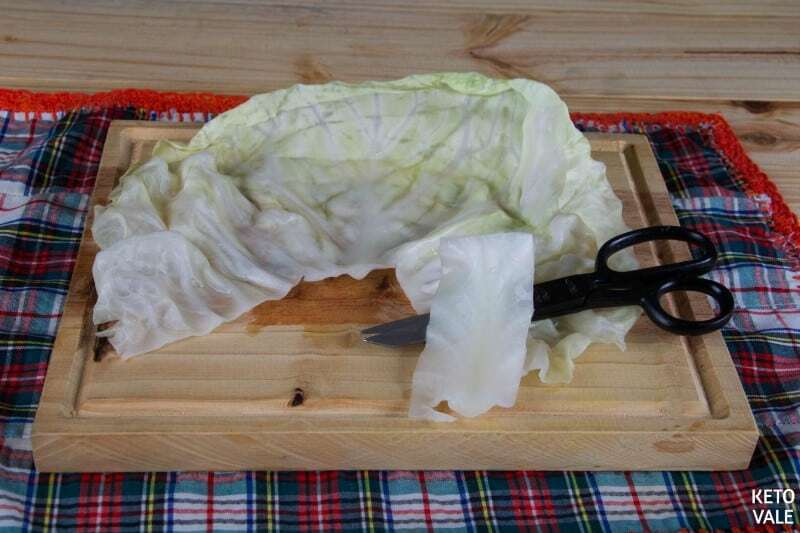 Remove the top layers of leaves and cut out the veins of the cabbage. Flatten the leaves on the board. You should get 8 large leaves of the cabbage. 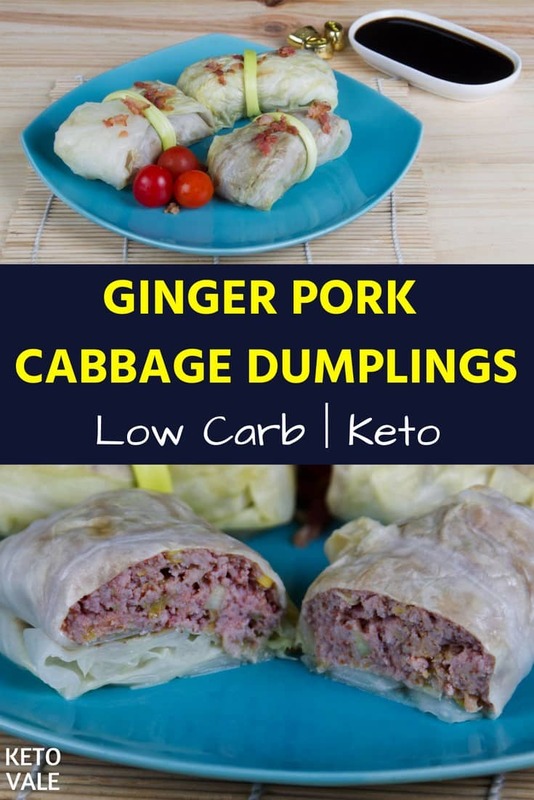 Use the remaining cabbage for other recipes. 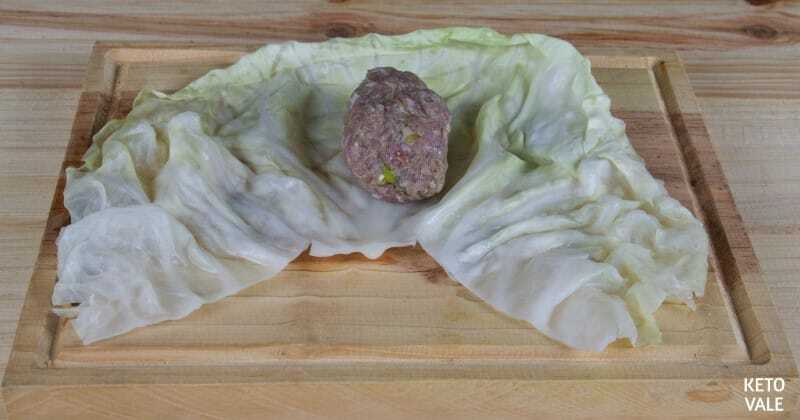 Place the meat filling on the flattened leaf. Cover with the leaves. Make sure to fold the leaves on all sides so the filling doesn’t spill. Secure with a toothpick. Repeat the process for the rest of the fillings and cabbage leaves. Arrange the dumplings in a steamer. Leave to steam for 20 minutes until the meat is cooked through. Check by slicing one piece into two. Remove from the steamer and enjoy while warm. 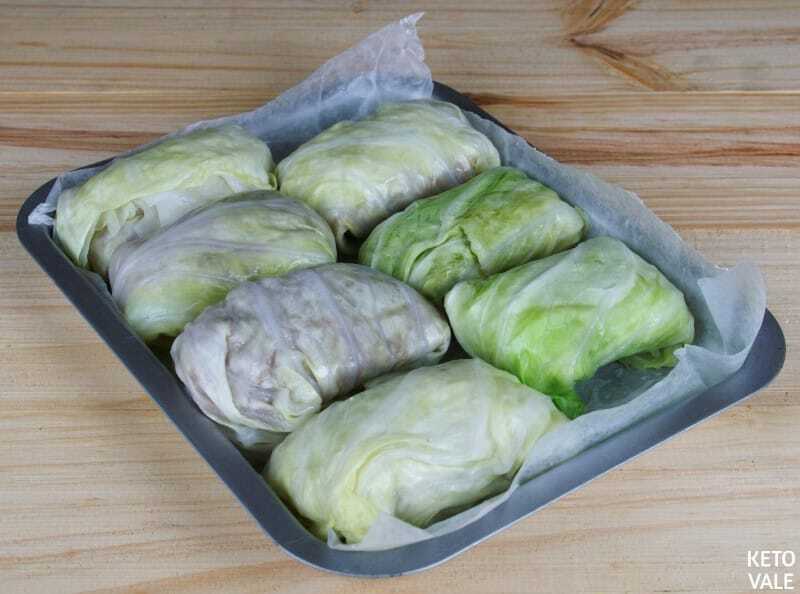 Note: The recipe calls for 1 large cabbage but we actually use only 8 large cabbage leaves for 8 dumplings. So the nutritional information here is per serving, which is 1 large cabbage leaf plus fillings. The Chinese dumplings can be served with or without sauce. 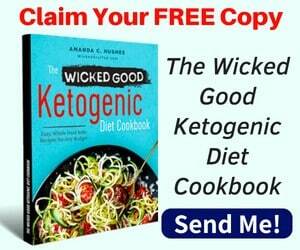 If you want to make the simple sauce for this recipe, you can use 1 tbsp of soy sauce (or coconut aminos), 1 tsp sesame oil, 1/2 tsp of chili powder, 1 tbsp of vinegar and mix well.